At Move Realty Wentworthville, we take pleasure to assist you with your purchase of your first home or investment property. We are more than happy to help you buying property from the very start to the finish of the purchase process and even further. It’s that decision to buy the first home which is the hardest. Indeed, it’s a very big decision. Hence, we thought of providing some tips to guide you through the purchase process from the stat to the last step of moving in to your new home. Exciting, isn’t it? Assess your buying capacity financially. Once your budget is set considering your income vs expense, take into account the cash availability towards the deposit, stamp duty and other related bills to be paid along with the purchase. Thus you need to assess your savings and /or your current equity. you have in your current property. Buying and selling – at the same time? Find out how much your home is worth by getting a free property appraisal. It is very important to find out your borrowing capacity from your bank or through the services of a mortgage broker. If it’s a mortgage broker, they will do all the paper work and approach the bank on your behalf and get a pre-approval for you. 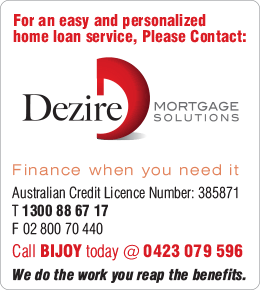 You don’t have to pay the mortgage brokers for their services. They are paid by the bank. Pre-approval let you know the amount the bank is ready to provide you as loan considering your financial status. At Dezire mortgage, the qualified and certified specialists, listen to your situation and bargains with different banks on your behalf to get you the best deal. You are free to carry out your daily chores while the dezire mortgage does the work for you. Having a pre-approval puts you in a better position to negotiate, speed up the mortgage documentation process and enable you to decide with confidence. You’ll need a solicitor to assist you with the legal intricacies of the property purchase. You need a lawyer you are comfortable to deal with and trust. It is a good practice to have your solicitor to check the contract of sale before you sign one. Solicitor will be able to check the property details, legal obligations, titles, reports and complete the legal procedures and processes. Check out with your friends or relatives if they know someone and contact Sydney Law Society or ask your agent if they know some one. Please note that the seller and buyer cannot use the same solicitor. Nowadays, we have numerous options to search for property for sale. Some of the major websites are realestate.com.au, domain. com.au, Squiize.com.au and moverealt.com.au. Take time speak to the sales agent and inspect the house. Be aware of your affordability. Keep your search within the property price for which you have budgeted or have obtained a pre-approval. This will keep your very much in your comfort zone. This is very important to avoid any panic situations or stress. It’s always a good practice to inspect the properties you have short listed. Have a first look and then if it ticks all the columns in your check list, go for a second inspection. In the second inspection, you will notice more than what you will have seen the first. Take the advise of your solicitors and ensure to have your property’s building inspection or let you solicitor check out the strata report in case of strata titles. This will provide you peace of mind. Unconditional – an offer signed on the contract with 10% deposit cheque (or as agreed prior) with the copy of the section 66 W signed by our solicitor. There will be no cooling off period. If you withdraw once the offer has been accepted and contract signed by the seller, you’ll have to forfeit the 10% deposit to the seller. 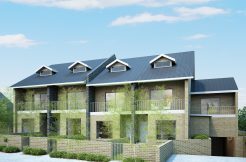 Conditional with Cooling Off – Your offer is signed on the contract with 0.25% deposit of the purchase or offer price which provides you minimum 5 days cooling off period for arranging finance or carrying out building inspection or strata report. If you withdraw, you’ll have to forfeit the 0.25% deposit to the seller the reason being that under contract the seller cannot offer the property to any other prospective purchaser. The purchase under auction conditions are always unconditional. A section 66w certificate is a certificate signed by the purchaser’s solicitor in accordance with section 66w of the Conveyancing Act 1919 which allows you as the buyer to waive your statutory right to a cooling off period. If the agreement is conditional with cooling off, conditions need to be satisfied by the due date. It is the buyers responsibility to satisfy those conditions. Once the cooling Off period is over, the offer becomes ‘unconditional’. Deposit payments are made by the buyer to the real estate agency, which is required by law to hold the money in an audited trust account, only releasing it to the seller when legally authorised to do so. Make sure that you inspect the property with the real estate agent two days prior to the settlement. Ensure that the property is in the same condition as at the purchase time and is clean and ready for you to take possession. If you have any concerns, speak to your real estate agent as well as your solicitor immediately. Your solicitor will be able to help you easily prior to settlement. Settlement day is the date on which you pay the seller the balance of the purchase price less the deposit for the property. Usually the solicitors and bank representatives carry out the process. Once the settlement process is completed, the solicitor instructs in writing to the real estate agent that it is settled and the agent is authorized to account the deposit money to the seller and release the keys to the purchaser. This is called the ‘Order on the Agent’. If there is a chain of settlements you may not get access to the property as early as you would like on the day of settlement. We can only release the keys to you once the legal settlement has occurred and the sellers solicitor notifies us. Congratulations! You’ve purchased the property. There are several ways of buying property in Australia, and when you’re making a huge investment it’s important that you understand the process. We recommend you to learn as much as possible about the property on the market for sale and the prices. This information will assist you with your offer and negotiating process. It is necessary to know how to participate in an auction, the conditions of auction sale and it’s requirements. An auction is a process of buying and selling goods or services by offering them up for bid, taking bids, and then selling the item to the highest bidder. The open ascending price auction is arguably the most common form of auction in use today. auction is a method of selling a property through the process of public negotiations. Move Realty guarantee our customers that our auctioneers conduct Auction in accordance with certain conditions which are set out in the Property, Stock and Business Agents Regulation 2003. We have the well qualified and most experienced Auctioneers conducting the auctions. 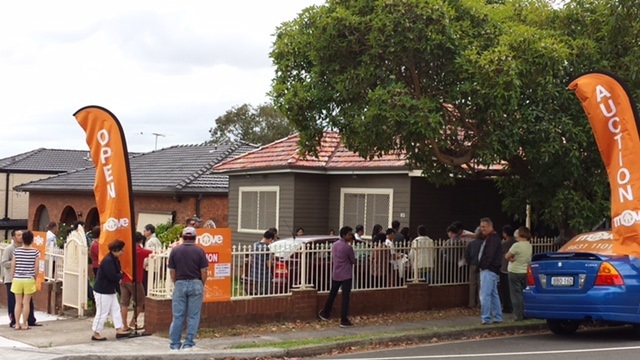 An auction is a gathering of potential buyers who publicly bid for a property. It is usually conducted by an estate agent, acting as an auctioneer and governed by strict rules. Buying property at auction is very different to other property purchases. The bidding process is public and if the hammer falls and you are the highest bidder, you have to sign the contract right there and then. This means you must be sure you are bidding on a property that you can buy. Become informed on key things to know before you start bidding. Reserve price– before the auction, the vendor (seller) will set a price with the auctioneer that is the minimum price they will accept. If the reserve price isn’t reached during bidding, the auctioneer will privately ask the vendor if they will sell at a lower price. Passed in– if bids do not meet the vendor’s reserve price, the auctioneer will seek more bids. If bids still do not meet the reserve, the property may be ‘passed in’ or ‘withdrawn from auction’. The highest bidder then gets first right to negotiate with the seller. Fall of the hammer– towards the end of the auction, the auctioneer will call for any final bids. Once there are no more bids, the auctioneer will count down the ‘fall of the hammer’, which will signal the end of the auction. No bids can be made after the fall of the hammer and the highest bidder is legally obliged to sign and exchange contracts. To participate or bid at an auction, potential buyers must register with the vendor’s agent and be given a bidder’s number. The auctioneer oversees the bidding process. They take bids from potential buyers and keep track of the current bid price. Before auctioning a property, the seller will nominate a reserve price, which is usually not advertised. If the bidding continues beyond the reserve price, the property is sold at the fall of the hammer. If you are the successful bidder, you must sign the contract of sale and pay the deposit on the spot (usually around 10 per cent of the purchase price). Difference between an auction and private sale? if contracts are exchanged on the same day as the auction after the property has been passed in. If you are bidding at an auction, you must be ready to exchange contracts and complete the sale. Otherwise, you will lose your deposit and may be liable for any damages suffered by the vendor. What happens on the day of auction? 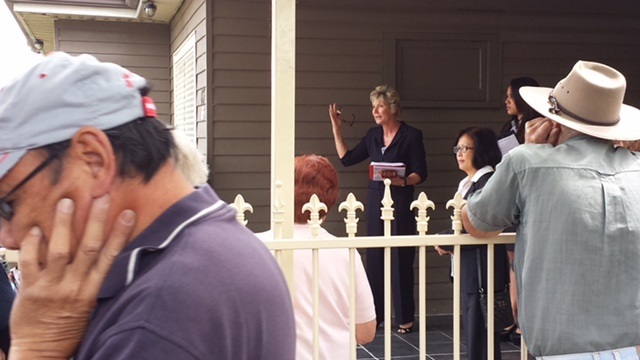 On the day of the auction, the property may be open for inspection, usually half an hour before the auction starts. Use this opportunity to take a final look at the property, the contract and auction rules. Attend a few auctions as a spectator to become familiar with the auction process. If the price is getting too high, you need to be able to walk away. This may be one of your biggest decisions, so it is worth making the right one, and being as well prepared and informed as possible about buying property. Sometimes the vendor agrees to consider pre-auction offers, which you can make through an agent before the auction. The negotiation process is the same as buying by private sale. What can I do to prepare for an auction? Research, research, and more research. When you have decided on the type of property you want, and what areas you are looking in, inspect as many similar properties as you can. Look at recent sales of similar properties. Go to auctions for similar properties. There are many upfront costs for preparing for an auction (eg. building report, strata report, pest inspection report). Research will help you better anticipate a property’s likely sale price. This will help you avoid investing money upfront in checking a property’s condition if you can assess that the property is likely to sell for a price outside of your range. What kind of property am I buying? Understand the differences between owning a house, and owning a property in a strata or community scheme. Each has different ongoing costs and obligations. Am I ready to go ahead with the purchase? your finance unconditionally approved (not just pre-approved). Confirm with your lender the maximum amount you can borrow. enough money on hand to give a cheque for the deposit (this is usually 10%). thoroughly inspected the property and know the property’s condition. This includes obtaining professional building inspection and pest reports and reviewing any strata reports (if the property is in a strata scheme). reviewed the contract with your solicitor/licensed conveyancer and are comfortable with its terms. What is my maximum purchase price? Before you go to an auction, you must know exactly what your maximum purchase price is. If you go over it and need to borrow more, you may have to pay for lender’s mortgage insurance. This will affect your repayments and could go beyond your budget. Is this a property I really want and can buy? Be sure that buying property meets your requirements and is one you can afford. Consider whether it is close to the amenities you need, any repair work needed, noise levels, if there is enough space, and if you can afford the repayments. Help inform your decisions by reading information in the Buying property section on the Fair Trading website, covering the process from start to finish.